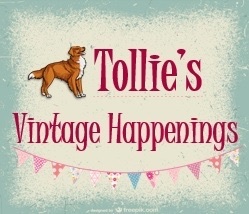 Last Sunday was my first proper craft fair and with quite a few nerves, off we went to Sedlescombe for Tollies Vintage Happening….. 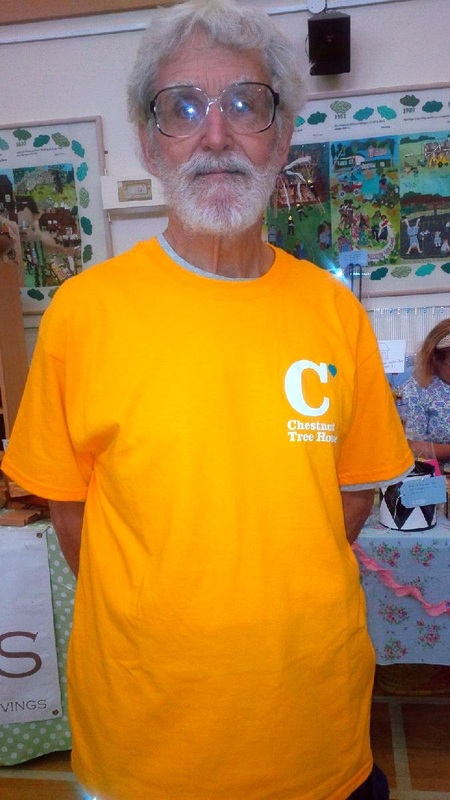 The fair was also supporting Chestnut Tree House our local hospice that care for children with life limiting conditions, here is the organisers dad in his tshirt…….. He was one of an army of helpers that ensured that the event ran smoothly. 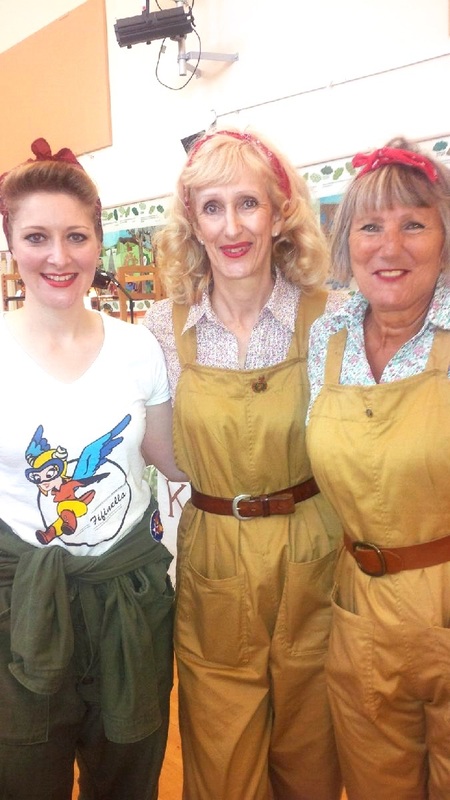 We decided to get involved with the theme, so here I am as Rosie the Riveter, modelling the lovely sign my husband made for me………. 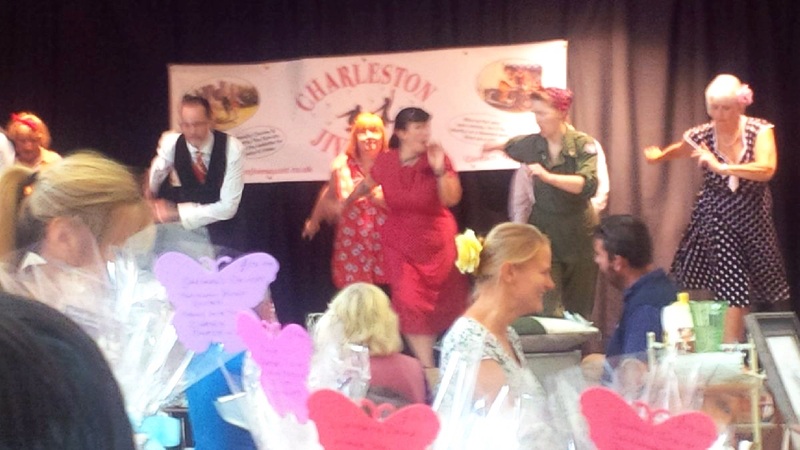 Apart from fab stalls, there was great entertainment in the form of the Charleston Jive Squad, dressed in 40s costume they jived their way through the day and kept us all bopping along with great music, here are some of their gorgeous gals and an action shot….. 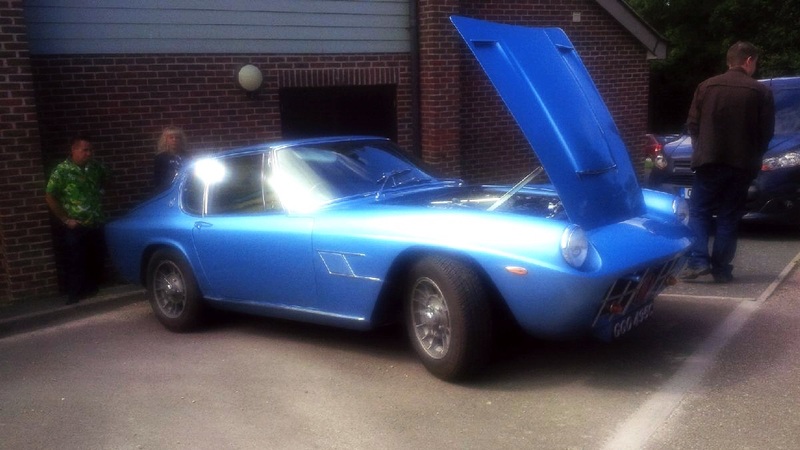 There was also a vintage car rally, I am quite a petrol head and fell in love with this Maserati……. 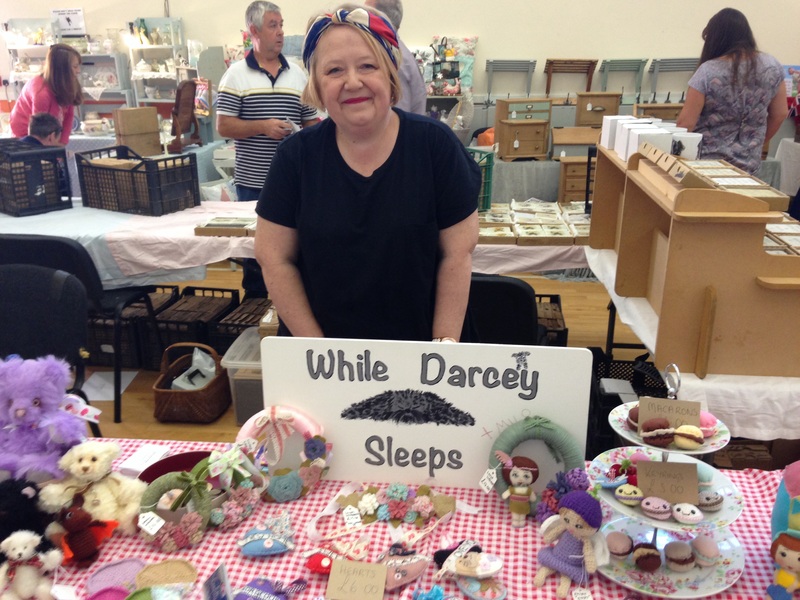 It was a great day and we sold lots, it also gave me valuable insight into what the public like, so I’m able to plan for the next fair much better informed. She did a cracking job and was always checking to see if we were OK. 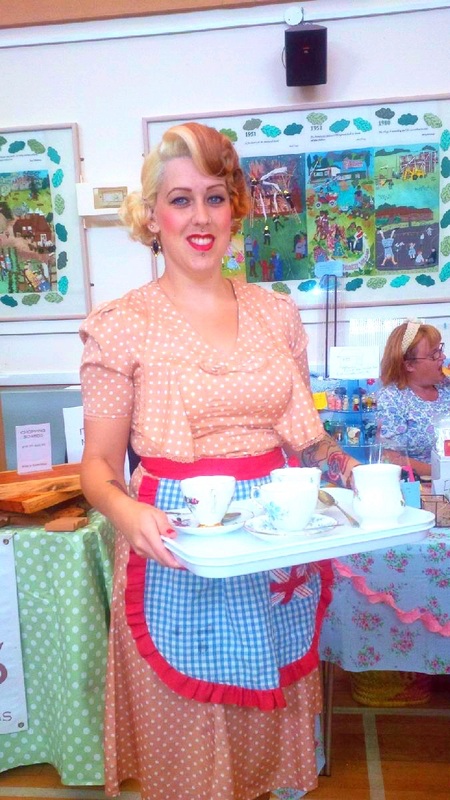 So this week is my art show at Lindfield Art festival, after that I should have some time to breathe and do some tutorials for you! 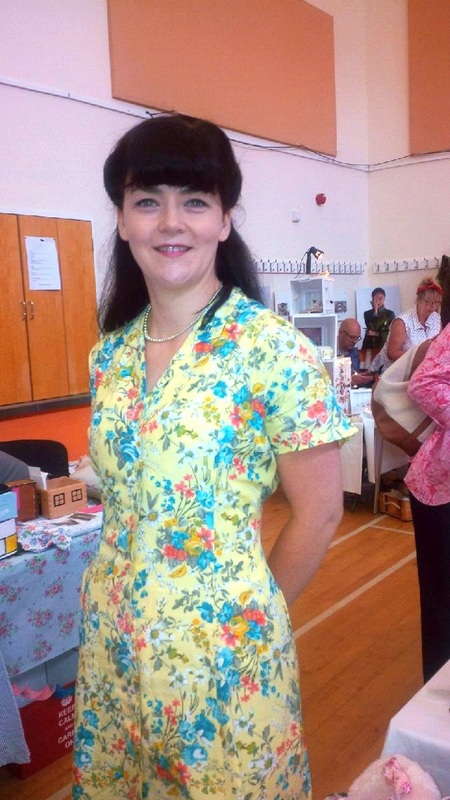 This entry was posted in craft fair and tagged Charleston Jive Squad, Chestnut Tree House, craft, Maserati, Rose and Olive Vintage Tea Events, Sedlescombe, Tollies Vintage Happenings by karenlorenz. Bookmark the permalink.